During the round robin of the 2010 Korea Match Cup, Valencia Sailing had the chance to meet Malaysian businessman Patrick Lim, Executive Chairman of the World Match Racing Tour, and discuss his views and ambitions for the world's match racing championship as new owner of the circuit. Valencia Sailing: Your initial foray in the sport of sailing was in 2005 when you started organizing the Monsoon Cup in Kuala Terengganu in Malaysia. What made you become the promoter of a sailing event? Patrick Lim: I'm a real-estate developer and I have always enjoyed working with sports, I liked to use sports as a catalyst for many of my developments. In the early days, I built an equestrian academy and around it I built a real-estate development. We are using sports and other mass-participation events as a base for a number of developments and it's something that has brought many new opportunities. As a result, we were tasked by the government of Malaysia to assist them in finding a program to develop and uplift the area of Kuala Terengganu because at that time the area lacked recognition in the international tourism market. It's a beautiful coastal area and has many monsoons but instead of thinking negatively we wanted to capitalize on that. I'm not a sailor myself but while we were investigating various possibilities we also considered the yachting sector. By chance, during that period I had the opportunity to meet Peter Gilmour who talked to me about a fantastic series of sailing events, called the World Match Racing Tour (WMRT), thinking that it would be something that would help us achieve the objectives we had set. I have friends related to the world of Formula 1 and as a result, I was able to study the way they work and how they are structured. After considering all those facts, we decided to bid in order to become a venue of the WMRT. Our model was based on the highest level of international sports competition but also as a catalyst for growth. We wanted to develop a program, an event that would be able to attract the participation of non-core fans to the sport of sailing. Our aim from the beginning was to achieve the highest level possible in all aspects and I think that we have been quite successful with the Monsoon Cup. Valencia Sailing: After four years of organizing an event of the World Match Racing Tour you decided to buy into its organization. What was your goal and motivation behind that move? Patrick Lim: Being a promoter of an event allowed us to thoroughly study the Tour. I'm a businessman and I consider it's important to set yourself challenges, to see whether you can apply your skills to enhance a product line or create new and better product lines. I'm always thinking about reaching new boundaries, about achieving new targets. It was natural for me then to start looking at the possibility of entering into the Tour and I'm a firm believer that if you have a clear objective of excellence and you are disciplined you will be able to meet your objectives and fulfill something you are proud of. Valencia Sailing: Is the Monsoon Cup the model of event you would want to see throughout the WMRT? Patrick Lim: Dong Young Kim, the promoter of Korea Match Cup, approached us, asking to copy our model of event and we were obviously happy to assist him in any way we could in order to implement it. He has had tremendous success here in Korea with our model and formula and that gave us the assurance that, after some modifications to the local necessities and conditions, it was something that could applied worldwide. That also gave us the confidence to embark on a conversation with Scott Macleod, the previous Tour owner, and convince him that we were worthy of becoming the new custodians of this wonderful structure. 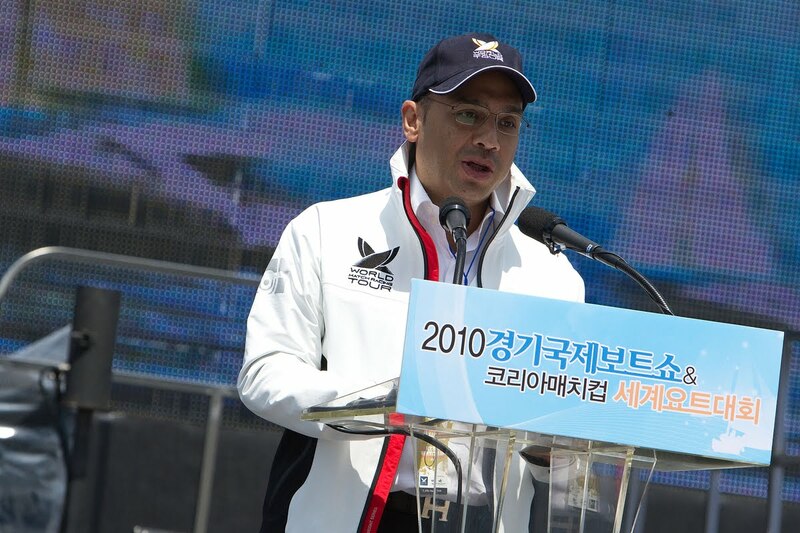 The World Match Racing Tour is a unique series, don't forget that after an agreement with the ISAF in 2006, it was granted "Special Event" status, sharing the same status with only two other professional sailing series, the America’s Cup and the Volvo Ocean Race. We were confident we had the ability to go forward and reach new targets and new goals. Valencia Sailing: What are the targets and goals you have for the WMRT? Patrick Lim: We took over the Tour just six months ago and our first target is to assist and enhance all the existing events that constitute the WMRT, so that with our assistance and collaboration they improve and reach new targets. They are already very good events in their own respective fields, each one being very unique, with its own characteristics but within all those events there are generic and common components. They all run their events in their own way, there is a lot of depth and that is good for the sailors, the spectators. Korea is different from Malaysia, Sweden or Switzerland but they all have common key components and our aim is to achieve a high level of consistency in those areas. We believe the events should be attractive, racing should take place very close to the spectators, they should have good TV production and coverage but also provide excellent facilities for corporate hospitality, for the general public and the press. In essence you have different events within a common framework and I think this is one of the strengths of the Tour, to be able to deliver the same end product but very much localized and customized with the highest possible level of competition. At the end of the day, this is the world's match racing championship and there is only one. Valencia Sailing: You said you had experience working with other sports. Do you think it will be difficult to achieve your targets, especially in a sport that is certainly not mainstream? For example, right here in Korea dozens of million of people are watching their national soccer team play in the world cup while hardly anyone of them has seen a sailing yacht. Patrick Lim: On the contrary, what you consider to be a problem I see it as precisely the potential sailing has. Obviously, the biggest sports in the world are the ones everybody does. Everybody drives a car, every child can kick a ball, so these sports are popular. However, don't forget that in the 1960's there was a man called Mark McCormack who saw all those golf courses and all those amateur players and developed it into a great product line. If you now take a look there are marinas next to big cities all around the world I believe it is a potential waiting to be tapped and match racing is particularly applicable within this sporting niche. It might be a sport that not everyone will do but it is a niche and our goal is to develop, grow and excel within this niche. The World Match Racing Tour will be the foremost platform in which sailors will strive. Don't forget there is a rich and strong tradition of match racing all around the world and you could say that almost every major yacht club holds a match race event. Within this structured hierarchy the Tour is the foremost event, similar to what exists in all other sports. You have events going from the grassroots level up to the world championship. So, I believe that our task is to realize that enormous potential there is. It will certainly be a challenge to work with all the organizations but we see huge potential in this. Valencia Sailing: Louis Vuitton has a long history of involvement with the America's Cup, having sponsored the Challenger Selection Series for 25 years. Do you see the creation of the LV regattas as a threat to the World Match Racing Tour? Patrick Lim: There is a vast difference. This is the world match racing championship, sanctioned by ISAF. It's the only world championship while theirs is an exhibition event. Without any doubt, we are very pleased to see the creation of new sailing events because they will lead to more participation. We encourage all the exhibition and one-off events because they are good for the sport but there's just one world match racing championship, this is it. We respect the tradition and heritage of the sport but, as professionals, we also respect rights. As a result, I have to say I'm surprised that a group such as as Louis Vuitton with so much heritage and tradition but also very well known to protect their own rights, went in that direction. Valencia Sailing: You have also been criticized for focusing excessively on the business and commercial side of the Tour to the detriment of the sports side. After all, the Tour is a sports competition. Patrick Lim: The business side will ensure that in the long term the sports side will have the world's best sailors competing in better venues with better boats. You have to look at it from that perspective. If funding is insufficient then you won't have the adequate sports level. My job is exactly that. We have a very good team put in place now and our job is to listen to event promoters and work with them. They know the sport of sailing inside out. Frankly, more money will bring better sailors. Talk to any sailor taking part in the Tour and he will tell you that funding is one of their primary, if not the most important, worries. If they can have more income through more prize money then they can be much more focused on sailing. I'm not going to bastardize the Tour and make sailors wear monkey suits in order to make more money. Our focus is the Tour and we want to achieve the highest level of competition and the highest level of sailors. Talk to the event promoters. What do they need most? More funding. I can assure you that if they get more money they will reinvest it back to their events. They will have the best umpires, the best race officers and the best organization. Someone has to take care of the business side and that's my job. Answering your question, I don't think there's anything wrong with having a strong business focus on that. Having said that, I want to make it clear again that sailing is our top priority. I don't claim I'm a sailing expert but our team has excellent sailing experts and we will always strive to achieve the best. Talk talk talk - until now the only money that the new management of the Tour have managed to get, is "taxes" from the event promotors. Each event have to pay 60.000 Euro´s to the Tour Office - Mr. Lim have told for months how imporant it is for him to raise money to the Tour, but until now he is just acting like the Taxman. Event promotors on the Tour is sick and tired of this tax system, and Mr. Lim´s talk, talk, talk. Nothing is helping the promotors - Mr. Lim is starving them out ! A journalist could easily find this out, if he contacted the Tour promoters. Tehy are definately not happy. Mr. Lim is threatening event organizers to comply and he is just raising tax´es again and again. He is killing the Tour ! Patrick Lim is a dreamer. The WMRT is just an amatuer feeder series for major professional sailing events like the LV Trophy regattas and the AC. The level of sailing and sailors is significantly lower that it was a few years ago. He is just a promoter and has a lot of work to do to get the tour to the level that he is hoping to achieve. 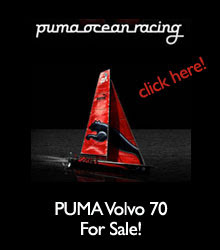 The WMRT is just an amatuer feeder series for major professional sailing events like the LV Trophy regattas and the AC. The level of sailing and sailors is significantly lower that it was a few years ago. He is just a promoter and has a lot of work to do to get the tour to the level that he is hoping to achieve. The WMRT is just an amatuer feeder series for major professional sailing events like the LV Trophy regattas and the AC. The level of sailing and sailors is significantly lower that it was a few years ago. What's wrong with being a promoter, that's exactly what this sport needs rather than leaving it to inexperienced proffesional sailors.They're great on boats but often inadequate when it comes to organising a succesful sailing event.